Partnership 2Gether (originally "Partnership 2000") was launched internationally in 1995. The Partnership is based on a shared belief in Am Echad (one people), and pairs seven Canadian communities with five Galilee Panhandle development towns and councils. The Partnership maintains a two-fold mandate: to strengthen the relationship between Jewish communities in Canada and Israel, and to develop the Galilee Panhandle and improve the living standards of its residents. The Partnership has identified the development of high quality, formal and informal educational opportunities for children and youth as the region’s highest priority. With five Galilee Panhandle (Etzbah HaGalil) development towns and councils - Galil Elyon, Kiryat Shmona, Metulla, Mevo’ot HaHermon, and Yessod HaMa’ala. Located along the confrontation line on the Lebanese border, just kilometers away from heavy fighting during the 2006 war against Hezbollah, the Galilee Panhandle is a region that faces considerable threats. At the same time, given the predominance of small, rural communities in the region, and its location in the northern-most part of Israel, the Galilee Panhandle faces another great challenge: providing its 50,000 residents with the abundant social, educational and employment opportunities readily available in the centre of Israel. The Partnership establishes bridges of understanding between Israeli and Diaspora Jewry. It brings people in Jewish Federation communities together with Israelis to develop relationships through joint projects and shared experiences. This is a powerful way for Israelis and Diaspora communities to get to know each other; it is truly a "people-to-people" connection. Moreover, the Partnership strives to improve the living standards of residents in our partner communities in Israel through direct investment in specific programs and projects. Partnership 2gether involves a variety of Living Bridge programs developed to strengthen Jewish values and to foster a connection among people of different ages in the Galilee Panhandle and in Canada. This is achieved through innovative educational projects and reciprocal visits. 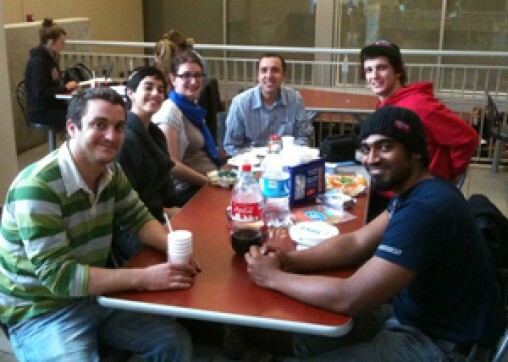 This mission to Israel partners young adults from Ottawa with Israelis of the same age. Together they complete a project to benefit Northern Israel. The trip includes Home Hospitality where Canadians stay in the homes of the Israelis that they are working with on the project. There are educational sessions and tours of the north of Israel. Over the years the “living bridge” has been crossed many times by Canadian and Israeli students and teachers who have visited partner schools. Through email, letters, video conferences and visits, the students continue to learn more about each other and each other's countries. Partnership 2Gether builds and reinforces the concept of a world-wide Jewish Family. For more information about Partnership 2Gether, please contact Sarah Beutel at sbeutel@jewishottawa.com or 613-798-4696, ext. 253.